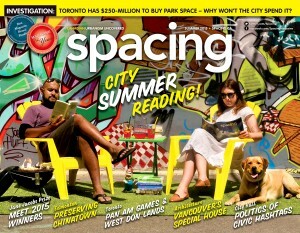 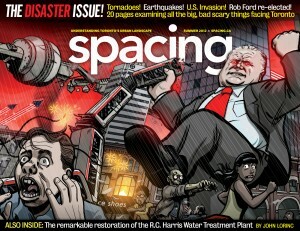 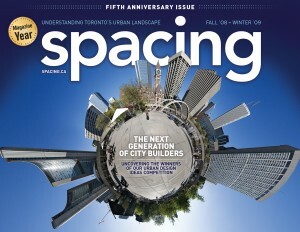 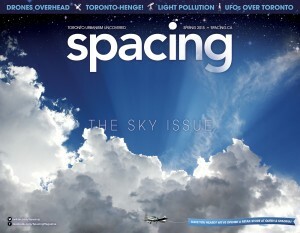 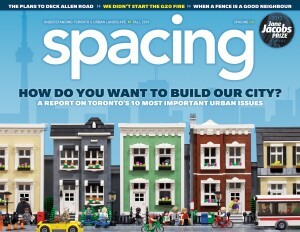 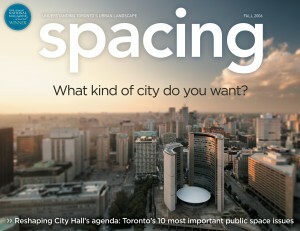 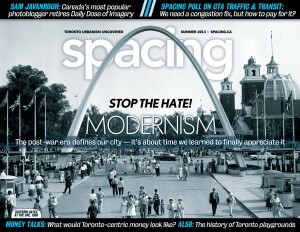 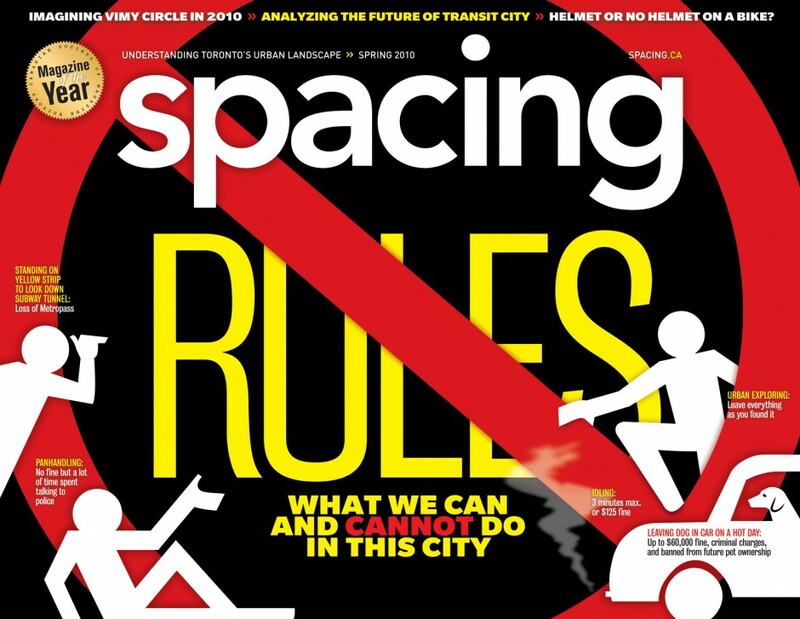 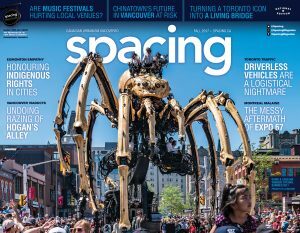 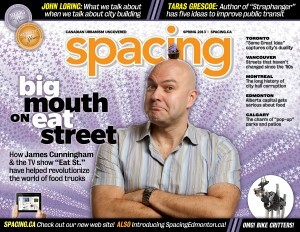 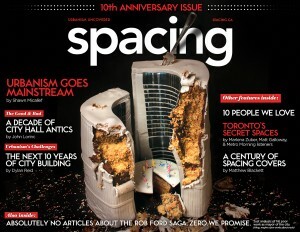 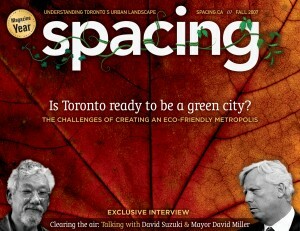 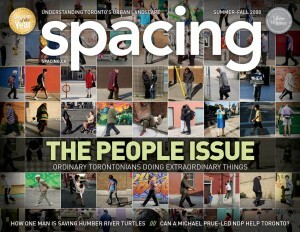 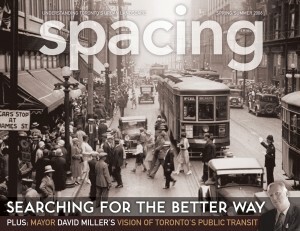 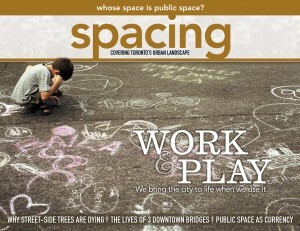 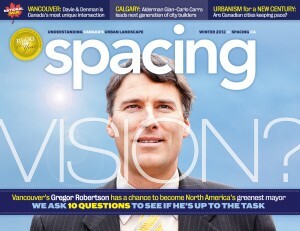 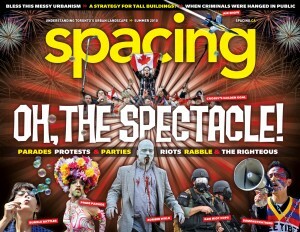 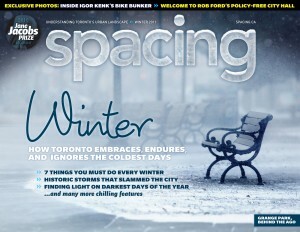 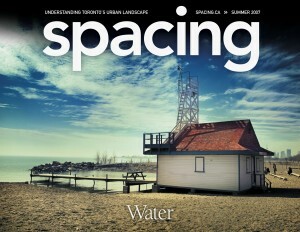 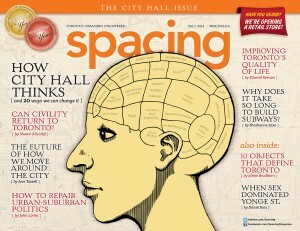 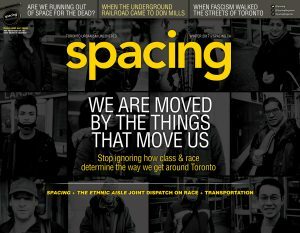 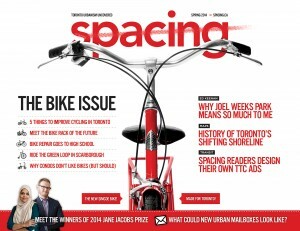 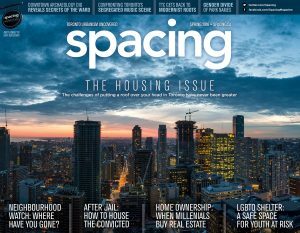 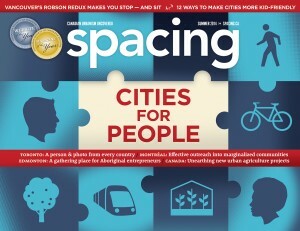 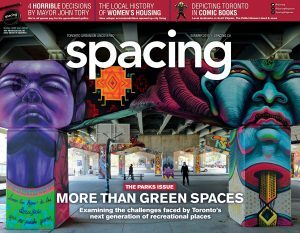 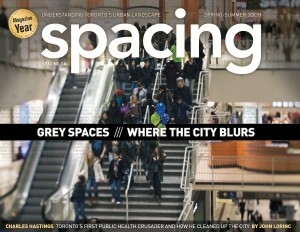 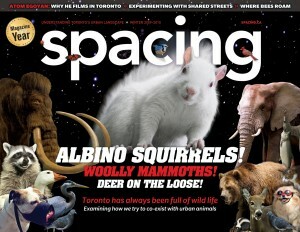 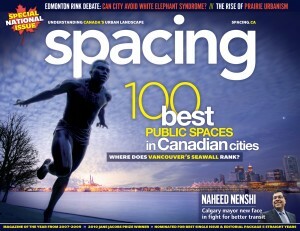 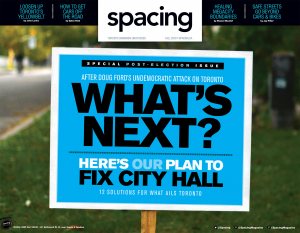 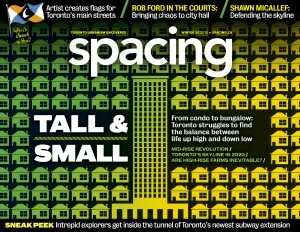 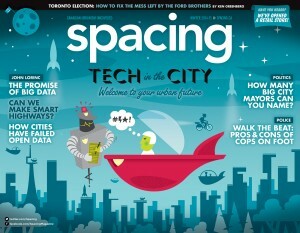 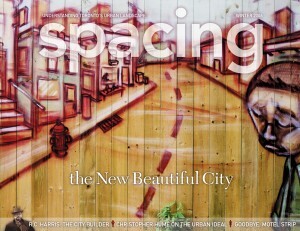 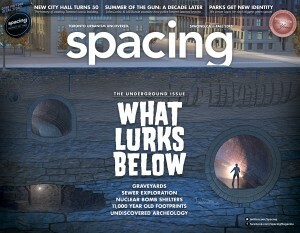 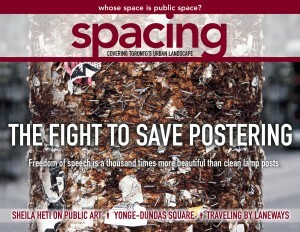 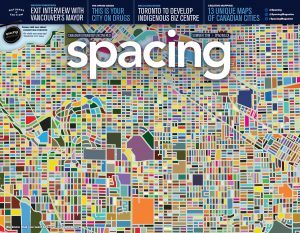 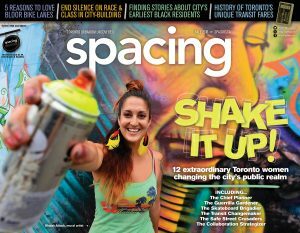 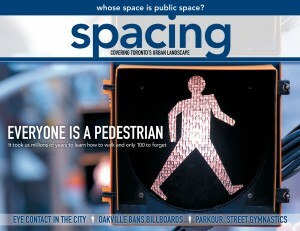 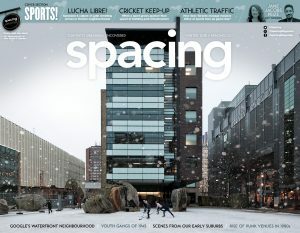 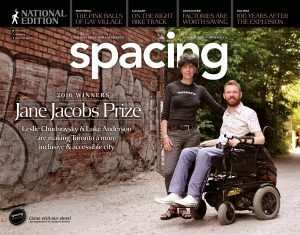 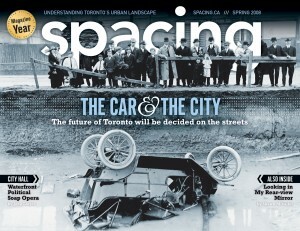 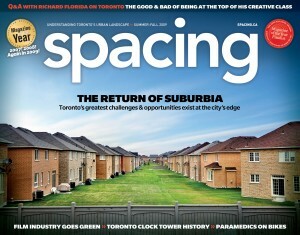 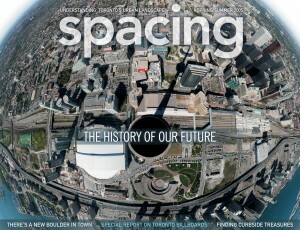 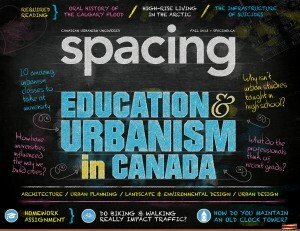 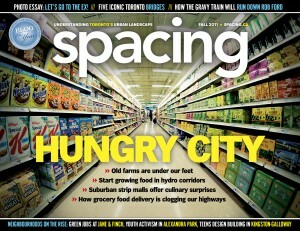 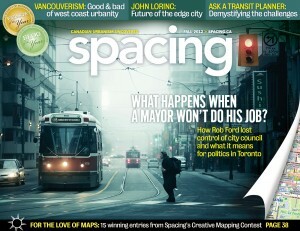 The Spring 2010 issue of Spacing uncovers the variety of rules that govern our city. 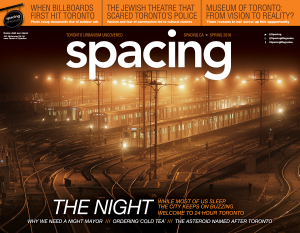 Inside our 22-page cover section, our contributors examine the life of a speeding ticket, how buildings obtain permission for great heights, why the city is so uptight about liquor laws, and how we’re supposed to obey the unwritten social rules while walking, taking an escalator, or riding the TTC. 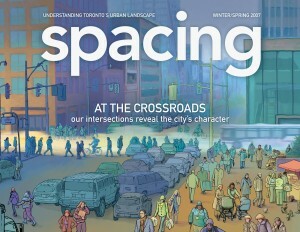 Other highlights from this issue include an illustrative feature on what Vimy Circle would look like in 2010 had it been built (as was planned) in 1929, a photo essay by Surendra Lawoti on the transitory life of the inhabitants of the Don River, and what the future holds for Transit City.